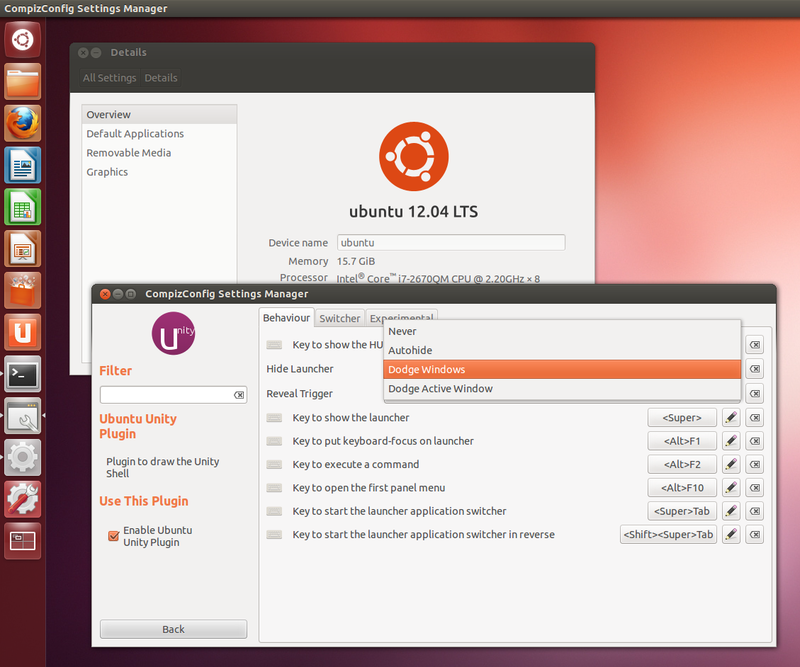 The Unity Revamped PPA is back for Ubuntu 12.04 LTS. This is a PPA that comes with a custom Unity build that brings back the old "Dodge windows" and "Dodge active window" Launcher hide behaviour as well as a feature that many have requested: minimize / restore windows by clicking on their icon in the Unity Launcher. 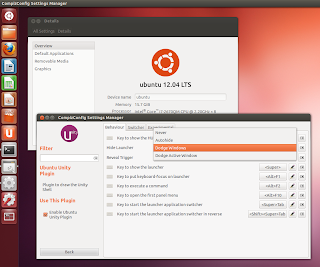 Unfortunately, there are some issues with the patches for the latest Unity available in Ubuntu 12.10 (6.x) , but at least the PPA now works again with Ubuntu 12.04 (Unity 5.18, available in the official Ubuntu 12.04 Updates repository). One of the extra features that used to be in the Unity package available in the Unity Revamped PPA isn't available with this update unfortunately, or at least I couldn't find it in my test: the option to disable global menu autohide in CCSM. But the window dodge and minimize on Unity icon click features work great. Now try to minimize an open window by clicking its icon on the Unity launcher - this should now work. Then, launch CompizConfig Settings Manager from Dash, click the Unity plugin and on the "Behaviour" tab, under "Hide Launcher", select "Dodge windows" or "Dodge active window". Thanks to Isaac Joseph for his work on the Unity Revamped PPA!